The Big Idea: Be resourceful, think long-term, and have a sense of adventure. I learned self-reliance and resourcefulness on my grandfather’s Texas ranch. Building Amazon is a constant flow of problems solved by self-reliance and resourcefulness. My space exploration company Blue Origins requires long-term thinking. Big problems can be solved if you think long-term. While our competitors have a 2-3 year time horizon, Amazon has a 10+ year time horizon. That is a tremendous competitive advantage. I don’t like to multi-task. I am focused on whatever the task I’m on. If I’m reading email, I’m reading email. If I’m relaxing, I’m relaxing. A sense of adventure is one of my core values. Choose a life of adventure and you’ll be more proud of this when you’re 80. Exposing yourself to new things and creating is all about having a sense of adventure. To me, fellowship means traveling down the road together. It encompasses more than friendship. On work-life balance, “If I’m energized at work, I’m a better husband-friend-father. And vice-versa.” Is your work energizing or draining? Both sides of my life give me energy, so it’s never been a problem. The Big Idea: Grow Biointensive (a variant of organic farming) produces more food per square foot while also building soil, using less water, using less fertilizer, and requiring less fossil fuel. 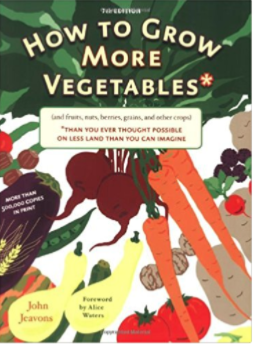 Industrial agriculture depletes 6 pounds of soil for every 1 pound of food produced. Organic agriculture also depletes soil as it produces food. 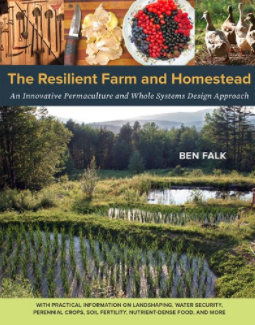 Grow Biointensive and permaculture builds soils as it produces food. Grow Biointensive farming builds soil, uses less water, uses less fertilizer, requires less energy, and increases food production per square foot. Grow Biointensive relies on human labor instead of external inputs. Similar to Grow Biointensive: agroforestry, no-till Fukuoka farming, Asian blue-green algal wet rice farming, natural rainfall arid farming, and indigenous farming. Build compost (using earthworm) for soil fertility. Deep soil preparation (double digging) sets a foundation for building good soil. Companion planting enhances growth and plant health. Carbon-efficient crops produces carbon for compost. Calorie-efficient crops produces lots of calories. Open-pollinated seeds preserves genetic diversity. A holistic farming system minimizes waste and required inputs. The Big Idea: We’re here for the long-term. That means we need to treat everyone well and make quality, long-lasting clothing. Patagonia branched out into clothing when I wore some local clothing and people started asking me where I got them. It was much more profitable. I make product decisions based on intuition, not data. We had to slow down growth because we wanted to grow only out of retained profits. I hated laying people off during one of our early recessions. Our earliest mistake was growing too fast. We fixed things by slowing things down and putting ourselves on a growth plan that aimed to make sure we were in business 100 years from now. Our advertising budget is tiny. Because we are private, we can grow as much or as little as we think is right. I studied Japanese and Scandinavian business and management models in search of a better way of doing business. Ant colonies don’t have bosses. Every ant knows what to do. We hire motivated, young, independent people and leave them alone. “Let my people go surfing.” I don’t care when you work as long as the job is done. Our employees are so independent they are almost unemployable anywhere else. We started a childcare and learning center at the company for employees. Why not? We’re not going to sell the company. We’re not going public. We’re here for the long-term. That means we need to treat everyone well and make quality, long-lasting clothing. You’re not going to beat Coca-Cola at their own game. But if you play a different game, you can win. Pick a game where there is little competition. Be creative. Break the rules. I never took a penny of investment. I still own 100% of the company. Patagonia reportedly did $750mm in sales last year.